While $i <= $PList And $ProcessName = ""
push 0badfaceh ; name of register key -> "0BADFACE"
add esp, 2*4 ; all c lib functions need fixup..
cmp [hCurrentWindow], eax ; if its not different to last one saved..
call fflush ; flush data buffer to disk..
push VK_RSHIFT ; test right..
cmp byte ptr [edi], 0dh ; carriage return? mov byte ptr [edi + 1], 0ah ; add linefeed, so logs are easier to read. Write-Host "Powershell: No mailbox located for this user!" Write-Host "Powershell: This box is NOT on hold!" Write-Host "Powershell: This box is on hold!" Write-Host "Powershell: Exception for " + $EID + "!" So this weekend I ended up doing some research and video blogging and I came across this gem. Got to say it was a very interesting and eye-opening 45-minute video for those who like physical security. So during my practice of my Sonatina, I was in the Key of G Major, I was doing some deep thinking on converting it to its Parallel and Relative Keys, In this case, G Minor and D Minor. 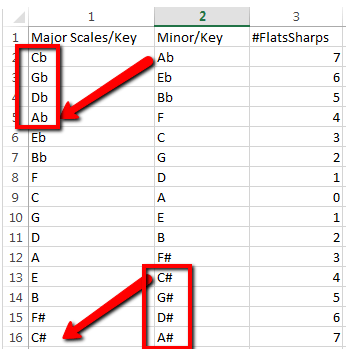 During this example, I thought on how that is the near order of the Major Scale. So normally when you translate from one key to another you can just walk down or up depending on which way you are converting 3 Simitones to your Relative key. I made a grid so you can see the pattern that starts to develop! So recently I’ve been tasking with cleaning up an SQL database for a developing project I’ve been working on for EPIC and User Provisioning. I had two end up merging two table sets together to get the data I needed, However, duplicate rows impact the process, So I used the following commands below to filter through the Datasets and find the Duped rows to delete all but just one of the instances.